Interested in the Speech and Debate Team! Do you enjoy: Competitive Acting? Speaking? Arguing? There will be a Parent/Coach meeting on Sept. 11th at 6 pm in the Library. Juniors: If you would like to visit the MCC College Fair on Sept. 14 from 9:30-11:30 am please complete the MCC College Fair Google Form that Mr. Welsch emailed on Aug. 30th. Deadline to sign up is Sept. 6th. If you have any questions contact: Mr. Welsch- 11th Grade Counselor at brandon.welsch@mcsdonline.org OR Ms. Milani- College and Career Counselor at margaret.milani@mcsdonline.org There will be close to 40 colleges and post-secondary options. New Scholarship Added: See Scholarships section – Dec. 2017. Lifetouch Picture Pick Up: If you had your picture taken on Aug 11, stop in Student Services before school, study hall, or after school to pick up your pictures/proof sheet. Seniors – Homecoming Court Nominations: Don’t forget to nominate five female and five male candidates to represent MHS on the homecoming court and vote for class flower, colors, and motto. Voting ends Friday, Sept. 1st at 4 pm. 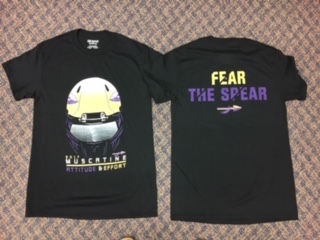 Homecoming T-shirts: Student Council ordered 250 shirts (in an array of sizes) to be sold at the high school prior to the homecoming game. If you have not pre-ordered, you may purchase a shirt for $10.00 during lunch outside of Student Services starting Sept. 6th. Homecoming Dance Tickets: Tickets for the Homecoming Dance, Night at the Oscars, will go on sale Sept. 6th during lunch outside of student services. Tickets are $10.00 per person. Homecoming Dance Guest Forms: Any MHS student wanting to bring a non-MHS student to the Homecoming Dance will need to pick up a Guest Form in the AP office (room 12-001); completed forms must be faxed back to Mrs. Chatfield by September 16, 2017. You will not be allowed to purchase tickets for your out-of-town guest until the guest form has been completed. Fellowship of Christian Athletes (FCA) will meet NEXT Wednesday, September 6th, at noon (not today!). We will see you in a week for fellowship and pizza! Students Of Active Prayer (SOAP) will have their first meeting this Thursday night from 7:30-9:00 at 2702 Surrey Court. We play games, talk about our faith and the Bible, pray, eat, and have fun together. All interested students are welcome! Boys’ Tennis Sign Up: Stop in Coach Goedken’s Room 21-030 anytime to sign up. We want to get an idea of who is coming out for tennis and to make sure you have the paperwork turned in. We have Winter tennis lesson information and information about the Spring season. Drama Club will hold its first meeting of the year on Tuesday, September 5th in the Auditorium from 3:30 – 5 pm. Fall Wrestling Club on Sundays 2-3 pm and Mondays 6-7 pm. Talk to Coach Kane (Rm 12-015) for more information. MHS Football T-shirts For Sale – $10: Available to purchase w/ Mrs. Borde in the Principal’s Office. Get yours today!! Linda’s Linens will be having a Style Show during September “Second Saturday” (Sept.9) from 5:30 to 7:30 PM. at 129 E. 2nd Street (next to Flower Gallery). She will have Free, Consigned and New Dresses on display (limited amount of free dresses on style show).